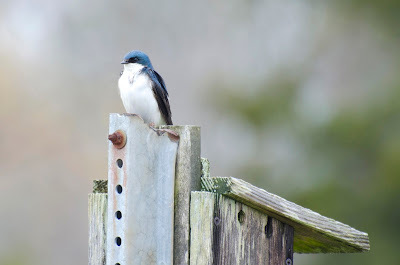 Tree swallows, Tachycineta bicolor, show up at my favorite wildlife refuge (Edwin B. Forsythe National Wildlife Refuge -- click on the name to read about the place) in spring and stay for the summer. They readily move into nest boxes like the one in the photo that are provided for them by the U.S. Fish and Wildlife Service. 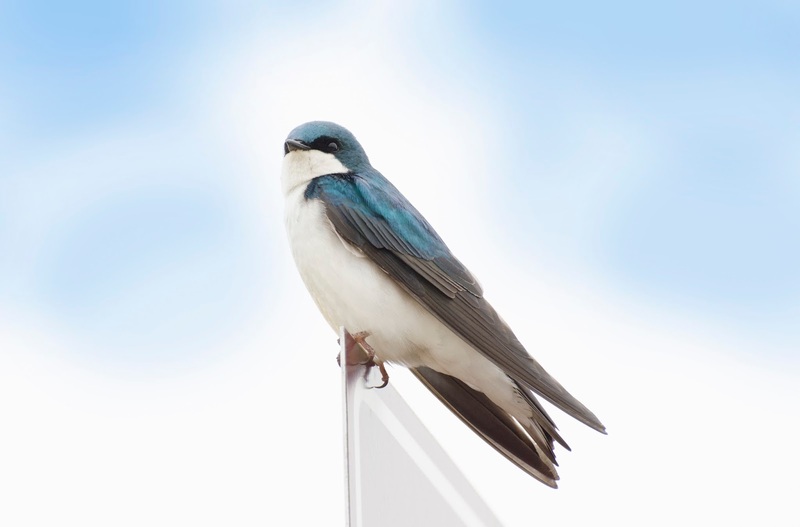 These birds prefer to nest near water, so the coastal refuge is a perfect spot for them. Click to enlarge.